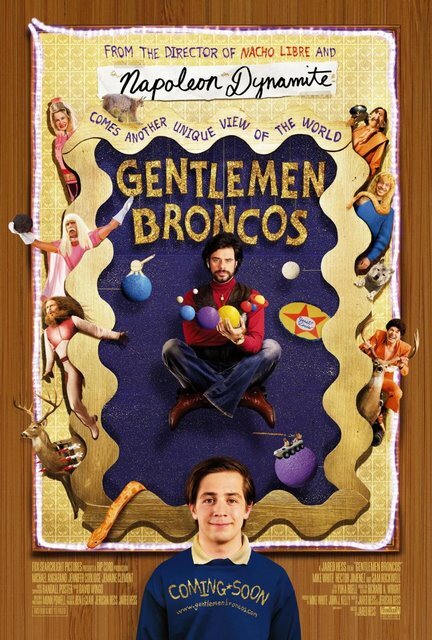 "Benjamin (Michael Angarano), home-schooled by his eccentric mother (Jennifer Coolidge), is a loveable loner whose passion for writing leads him on an offbeat and hilarious journey as his story first gets ripped off by the legendary fantasy novelist, Ronald Chevalier (Jemaine Clement) and then is adapted into a disastrous movie by the small town’s most prolific homespun filmmaker." "Legendary action cinema master John Woo and international superstar Tony Leung reunite for the first time since the 1992 classic Hard Boiled with this epic historical drama set based on a legendary 208 A.D. battle that heralded the end of the Han Dynasty. 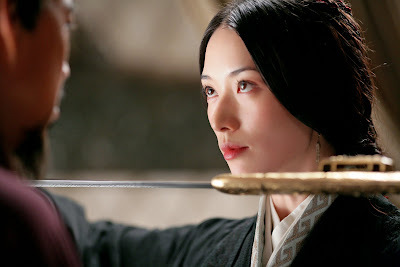 "Red Cliff opens with power hungry Prime Minister-turned-General Cao Cao (Zhang Fengyi) seeking permission from the Han dynasty Emperor to organize a southward-bound mission designed to crush two troublesome warlords that stand in his way, Liu Bei (You Yong) and Sun Quan (Chang Chen). "As the expedition gets under way, Cao Cao's troops rain destruction on Liu Bei's army, forcing the latter to retreat. 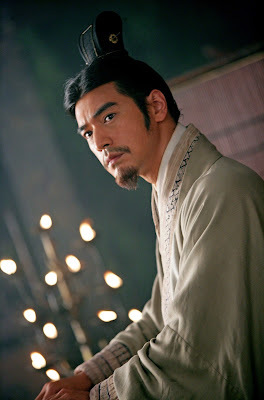 Liu Bei's military strategist Zhuge Liang (Takeshi Kaneshiro) knows that their only hope for survival is to form an alliance with rival warlord Sun Quan, and reaches out to Sun Quan’s trusted advisor, war hero Zhou Yu (Tony Leung). 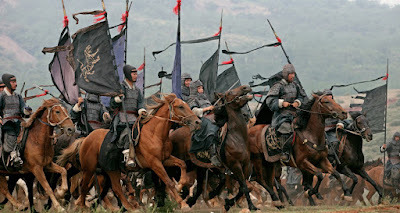 "Vastly outnumbered by Cao Cao’s fast approaching, brutal army, the rebel warlords band together to mount a heroic campaign unrivalled in history that changes the face of China forever. A massive hit in Asia and the most expensive Asian film production of all time, Red Cliff is a breathtaking war epic that marks the triumphant return of John Woo. 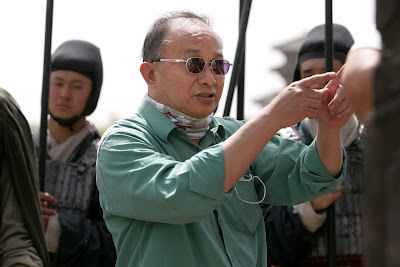 "Red Cliff is the third film in Magnet Releasing’s “Six Shooter Film Series V2,” a series of six films focusing specifically on action cinema, featuring some of the most exciting action films available today from around the globe. Red Cliff will be preceded by Ong Bak 2: The Beginning and Bronson, with three other films to follow over the coming months including District 13: Ultimatum and The Warlords." 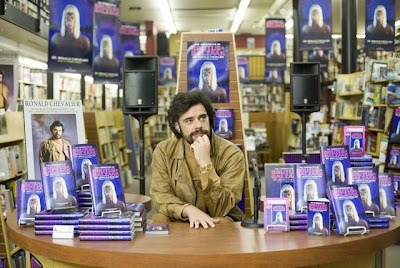 "The Local follows Noname, an enigmatic man running from a tortured past. Trapped in a violent Brooklyn underworld as the lowly drug runner for a gang of crazed veterans, Noname is approached by a wealthy out-of-towner who offers him a large sum of money to “rescue” the man’s heroin-addicted daughter from his employer’s drug lair. Noname soon realizes that saving the girl is more than a payday. It will grant him a way out of his purgatory after a lifetime of wrongdoing, and open a path toward personal redemption. 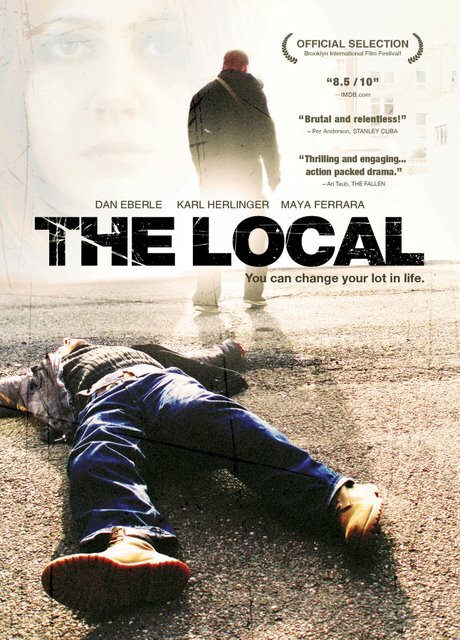 "Written and directed by award-winning filmmaker Dan Eberle (JailCity), The Local stylishly depicts the underbelly of the city, where the good is buried deep amongst the bad, and where a sinner can still redeem himself in a world broken beyond saving." "After she arrives at her country home for a romantic weekend getaway, things don't go exactly as planned for high-powered Manhattan lawyer Louise (Meg Ryan). 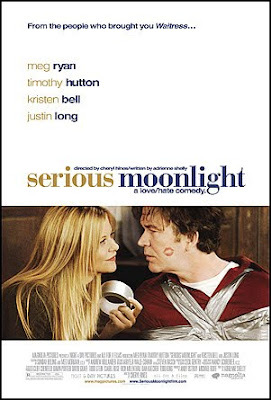 First, her husband of 13 years, Ian (Timothy Hutton), tells her that he's leaving her for a younger woman (Kristen Bell). "Then, one thing leads to another, and pretty soon Ian finds himself held captive by an oddly cool Louise who explains that she won't release him until he professes his love for her and commits to working on their marriage. And that's when things REALLY start to go wrong. "The unexpected arrival of an opportunistic young gardener (Justin Long) and Ian's impatient mistress only serve to complicate the crisis even further, while somehow forcing Louise and Ian to reckon with their past and realistically deal with their future." "The electric guitar has dominated popular music for the last half century. Anyone who has ever plugged into an amp understands its power. So does the average stadium crowd. But if you have too much exposure to amateurs, you might forget the incredible range of expression that the creation pioneered by Les Paul can achieve in the hands of masters. 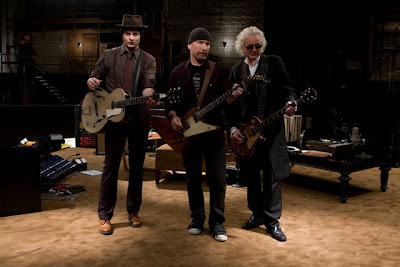 "Director Davis Guggenheim, well-known for his Academy Award-winning documentary An Inconvenient Truth, deepens our appreciation for going electric by bringing together three virtuosos from different generations: Jimmy Page of Led Zeppelin, The Edge of U2 and Jack White of The White Stripes. It Might Get Loud weaves together their stories to reveal how each of them developed a unique sound. "Unlike rock 'n' roll documentaries that focus on backstage drama, this one concentrates on the music, giving us intimate access to the creative process. 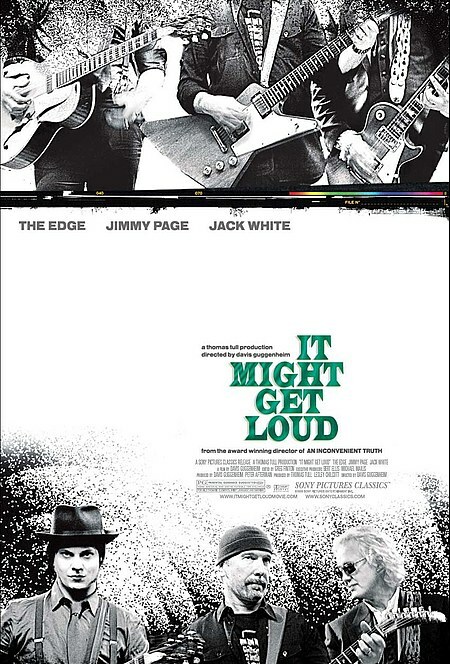 Each guitarist describes his own musical rebellion: Page against the saccharine pop of the sixties; The Edge against the self-indulgent solos of the seventies; White against the soulless bass machines of the eighties. The film also travels to the locations that left a mark on each player. 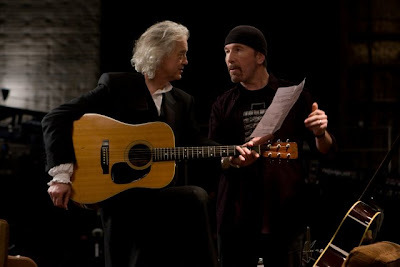 Page visits the stone halls of Headley Grange where “Stairway to Heaven” was composed. 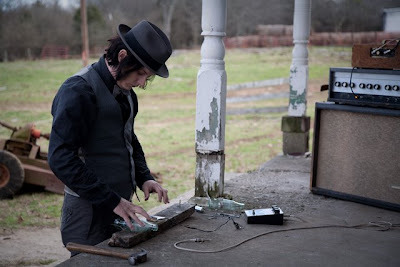 In Dublin, The Edge pulls out the original four-track rehearsals of “Where the Streets Have No Name.” And in Tennessee, White describes being inspired by the raw style of bluesman Son House. What's more, we see each musician play new work that has yet to be released. "You don't need to be an aficionado to enjoy the pleasure of this company. This film might not affect how you play, but it will change how you listen."